Merck (NJ, USA) has announced that Keytruda® (pembrolizumab) has significantly improved overall survival (OS) and progression-free survival, in combination with carboplatin-paclitaxel or nab-paclitaxel, as a first-line treatment for squamous non-small cell lung cancer (NSCLC) in the pivotal Phase III KEYNOTE-407 trial. KEYNOTE-407 (ClinicalTrials.gov, NCT 02775435) is a randomized, double-blind, placebo-controlled, Phase III study, investigating pembrolizumab in combination with carboplatin-paclitaxel or nab-paclitaxel, compared with carboplatin-paclitaxel or nab-paclitaxel alone, in 560 untreated patients with metastatic squamous NSCLC. Patients were required to have no previous systemic therapy for advanced disease. The median OS reached 11.3 months with carboplatin and paclitaxel/nab-paclitaxel but increased to 15.9 months when pembrolizumab was paired with the chemotherapy. The OS benefit observed with the pembrolizumab/chemotherapy regimen persisted across all relevant patient subgroups, including those with tumor PD-L1 expression categorized as low, intermediate and high. 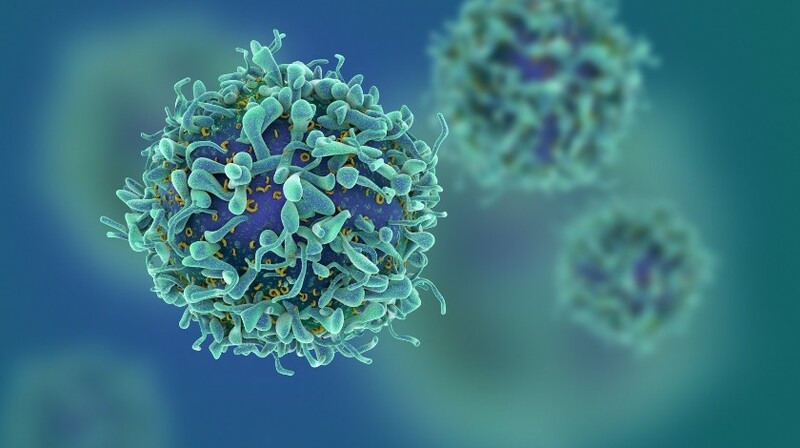 “This trial is clearly a win,” discussant Charles G. Drake from the Columbia University Herbert Irving Comprehensive Cancer Center (NY, USA), commented, adding that the pembrolizumab/chemotherapy combination will become a new frontier standard of care. From a scientific perspective, Drake thinks it will be intriguing to determine whether pairing chemotherapy and pembrolizumab confers additive activity or whether the combination promotes immunogenic cell death that leads to immune memory and a sustained long-term response. The findings were recently presented at the 2018 American Society of Clinical Oncology (ASCO) Annual Meeting held 1–5 June 2018 in Chicago (IL, USA). “These data suggest pembrolizumab plus carboplatin and paclitaxel or nab-paclitaxel should become a new standard of care for the first-line treatment of metastatic squamous NSCLC across all the different levels of PD-L1 expression,” Luis G. Paz-Ares of the Hospital Universitario 12 de Octubre (Madrid, Spain), explained during his presentation. The safety profile of pembrolizumab in this combination was consistent with that previously observed in lung cancer. Merck has submitted a supplemental Biologics License Application to the US FDA and these new data will be shared with the agency.